Ruben Van Kempen is a Seattle-based freelance director and the recent director of theatre at Roosevelt High School, Seattle where he taught and directed for 38 years. He is proud of his many students who have gone on to work professionally on Broadway (Tony winner Memphis); in London, Europe, and Japan; and in the opera, music, film and television industries. 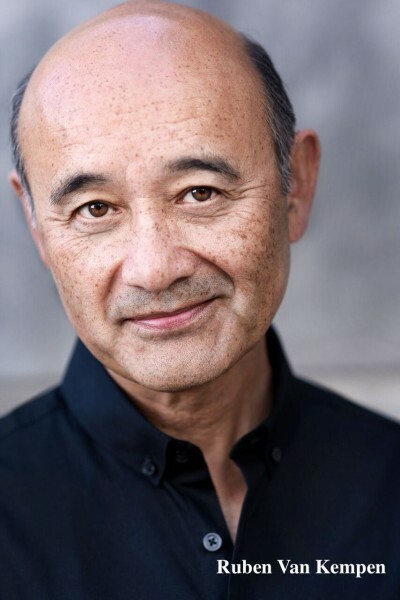 His directing work has been seen at the Edinburgh Fringe Festival, the Gates Performing Arts Center in Hawaii, The Village Theatre, Seattle Civic Light Opera, the Thespian Festival at the University of Nebraska, University of Evansville, Western Washington University, Seattle Pacific University, Intiman Theatre/Seattle Children’s Museum, the International Thespian Festival in the Leid Theatre, Nebraska, as well as in several industrial shows. Ruben received the 2016 Distinguished Alumni Award from the College of Fine and Performing Arts at Western Washing University. He was inducted into the Educational Theatre Association National Hall of Fame in September 2012, is a 2011 inductee into WA State Thespians and a 2008 inductee into the WIAA Hall of Fame. He received the 2007 Gregory A. Falls Sustained Achievement Award, which honors an individual who has devoted time, energy and talent to Seattle’s theatre community over the course of their career, influencing theatre locally and beyond. He was also honored with the first annual Ruben Van Kempen Arts Educator from the Intiman Theatre, The 5th Avenue Theatre Educator of the Year 2013. He was named a recipient of the Christa McAuliffe 2000 teaching award, and in 2013 received the Phi Beta Kappa Pathfinder Award.